President Muhammadu Buhari who yesterday notified the leadership of the National Assembly that he has resumed to work after his medical vacation in London, United Kingdom, may work from his house, the presidency said. 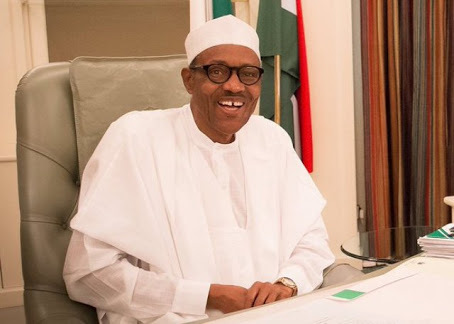 Buhari President Buhari left the shores of Nigeria ion 7th May for a medical treatment in London after formally informing the National Assembly of his vacation and that the Vice President, Prof. Yemi Osinbajo would function as the Acting President pending when he will return to the country. The President came back to the country on Saturday evening after spending about 104 days in London and addressed the nation on Monday morning where he spoke on many issues including the unity of the country, security challenges as a result of Boko Haram insurgents and economic security of the country. Buhari, according to his media aide has written the leadership of the National Assembly that he was back to office. However, the Personal Assistant to the President on New Media, Bashir Ahmad explained through his twitter handle said that the President will temporarily operate from his official residence also located in the villa. He said, “Some renovations are ongoing at the office, his fully equipped office in his residence. He will be back to the main office after the works,” he twitted. It was gathered that the renovation work was being carried out by the construction giant, Julius Berger and it was uncertain when or how long the renovation would last. Confirming Buhari’s resumption, his Special Adviser on Media and Publicity, Femi Adesina who disclosed this to State House correspondents on Monday said, “Yes, some few minutes past 11 am, the President signed the letter notifying the National Assembly of his resumption. A copy has been sent to the Senate President and a cope has been sent to the Speaker, House of Representatives, so the President has resumed.” On what his resumption will do to Nigerians, the presidential spokesman said, it meant the president they voted into office, who he said had been serving them and was indisposed for some time was ready to continue with the work he had been doing.